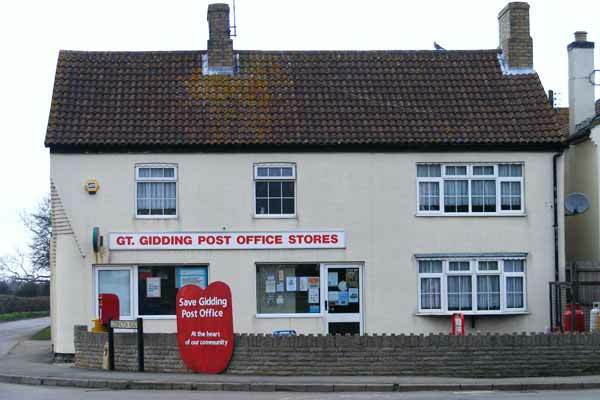 We’re lucky in Gidding to have the only village shop in the area. The range of services offered by Aruna and Jed is terrific. Did you know, for example, that all the following are available from, or through, the Great Gidding village shop? ● Daily papers, of course, but also magazines. If you regularly buy a magazine in the supermarket, why not order it through Aruna instead? ● New! A winning Lotto ticket! The shop is the hub of the village – you can advertise goods for sale, local events or other attractions; and tickets for village events can usually be bought from Aruna. By supporting the shop, you are helping to maintain a great village facility. And it helps you, too. By shopping in the village, we save time and precious fuel. With new, longer, opening hours, our shop offers convenience, great service and helpful and personal attention from Aruna and Jed. We’re so lucky to have a shop at the heart of our village – it’s up to us to ensure we keep it that way! If we all committed to buying at least our milk, papers and magazines there, we’ll be helping ourselves, helping the shop and helping our village community!